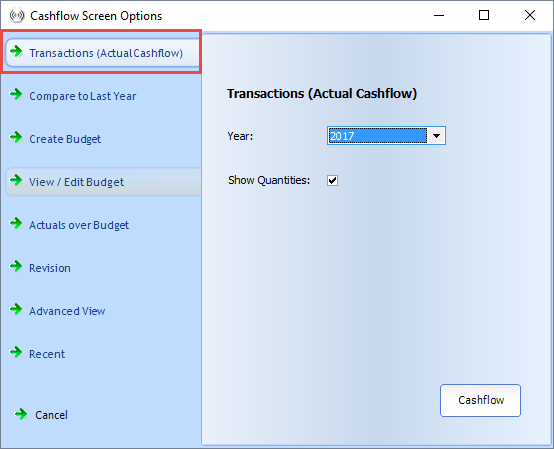 What is the actual cashflow screen? The actual cashflow screen mirrors all the bank transactions, and the information attached to them, that have been entered through the transaction screen. 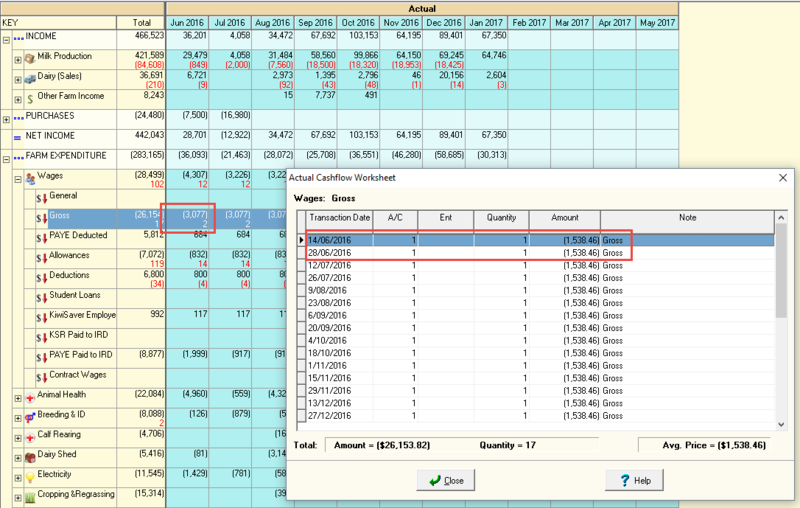 The actual cashflow is accessed through Cashflow Screen Options in the cashflow screen. It is cash driven so will always reflect the date the transaction occurred at the bank, not when an invoice was issued. Each transaction is grouped by category and extended code into the month they occurred. If you need to edit existing information or enter a new transaction, this needs to be done in the transaction screen. What can I do with my actual cashflow? Revise your working plan. This involves combining actual information, up to a certain date, plus your budget.